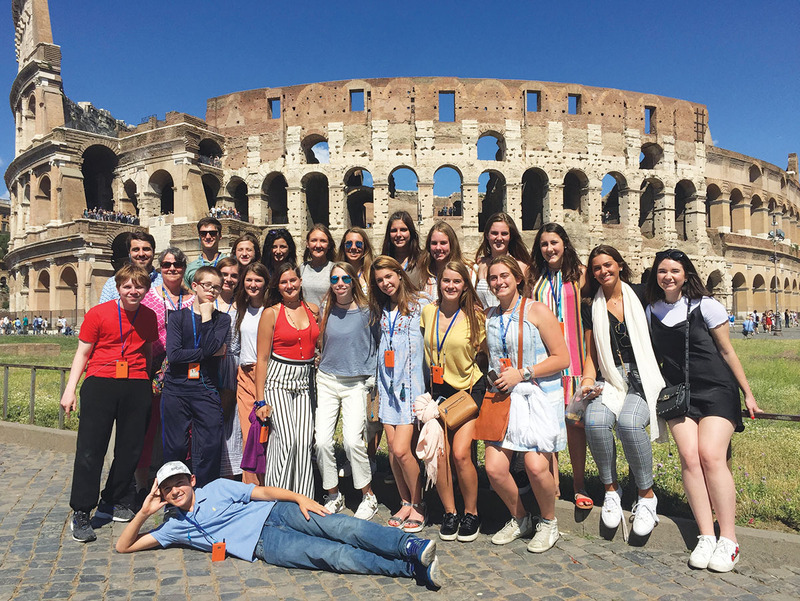 Teachers Mary Reed and Charles Reed returned from a nine-day tour of Italy and Switzerland with 20 Memorial High School students (and nine other adults). They visited The Colosseum in Rome and had a memorable dinner at the Stadtkeller in Lucerne, Switzerland, where they fondued with cheese and chocolate parcels and were stopped by a group of Chinese tourists. They asked if they could take a photo with the students, who were mostly girls. The girls were flattered by the “unexpected paparazzi,” and the tourists were thrilled.